The story and history of our planet has been documented in the rock and stone that literally covers the Earth. Our company designed this structure to give a glimpse into the saga of Earth’s past. This arch is unique in that the material used was quarried from a river bed where varied stone types existed, such as sandstone, shale, and hard alluvial rock. Each arch component was selected with great care so as to construct joints interestingly together with as little cutting and chipping as possible. 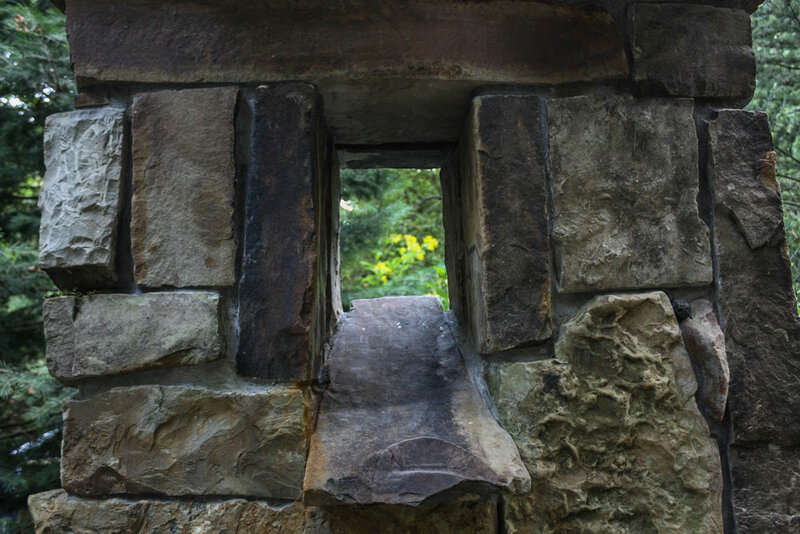 This allowed for the stone’s natural shape and formation to be visibly prominent. 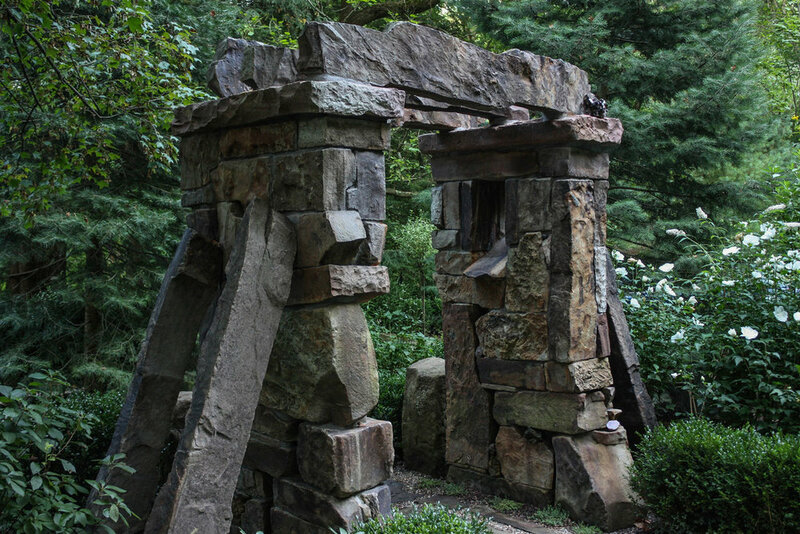 Besides artistically adding visual base weight to the arch they are reminiscent of the cathedral buttresses used in medieval architecture found throughout Europe. 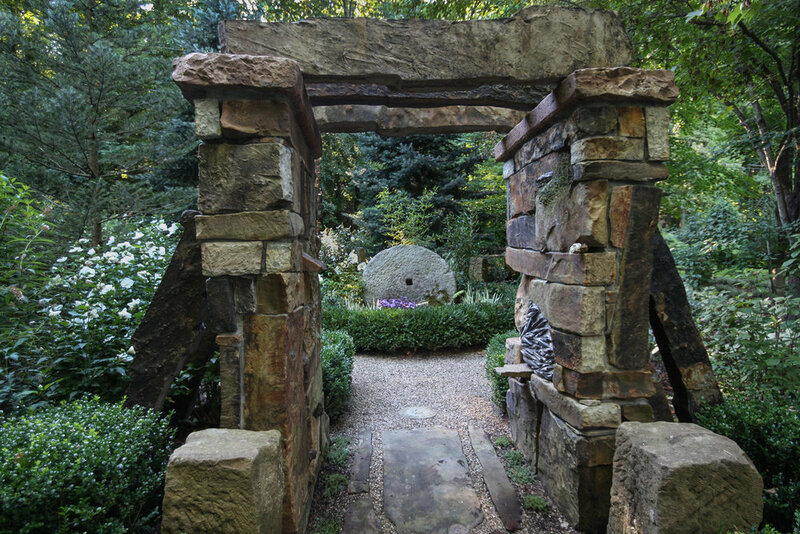 This massive arch provides an entrance into a theme garden that represents the sun and moon of our solar system. Surrounding these are eight large standing barn stones representing the eight planets. 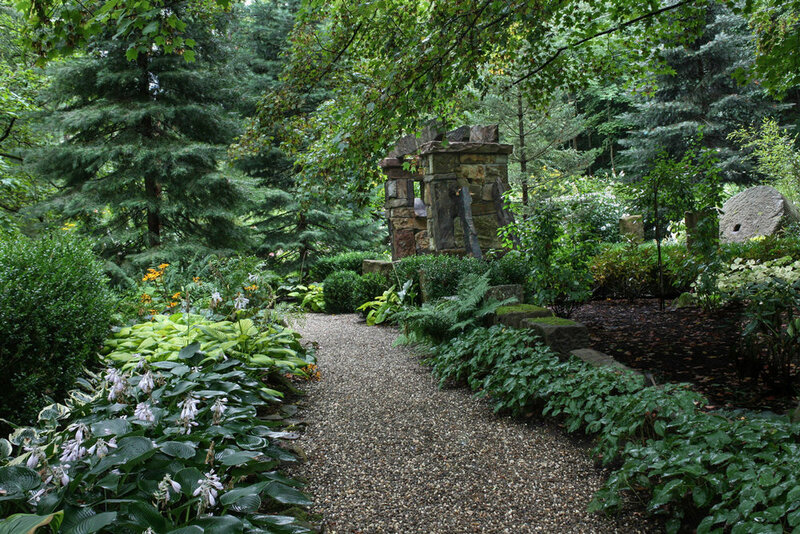 A circular gravel path surrounds the Sun stone and is bordered on both sides by Boxwood hedges. All around this garden there is plant material, representing night and day, that exhibits a variety of white and deep purple flowers blooming throughout the spring, summer and fall. 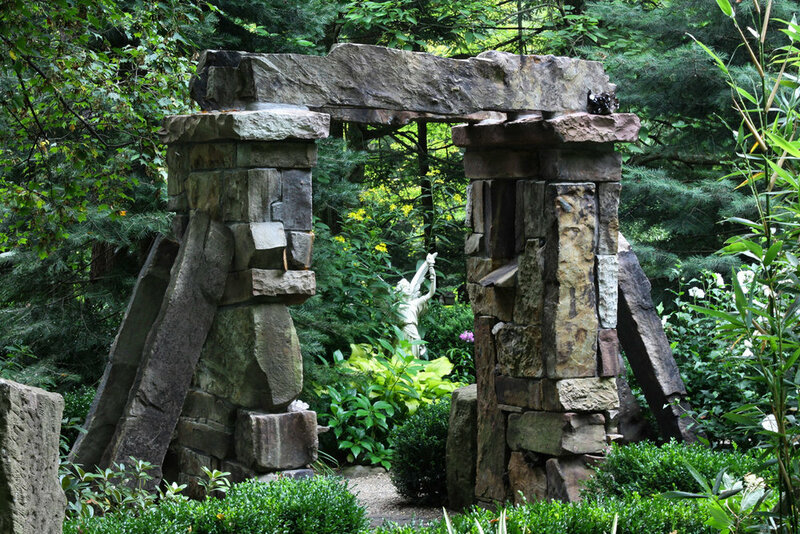 The uniqueness and one of a kind quality of this arch is found, not only in its stone material, but in its design and difficulty in construction (selecting and transporting each piece from a river to site). 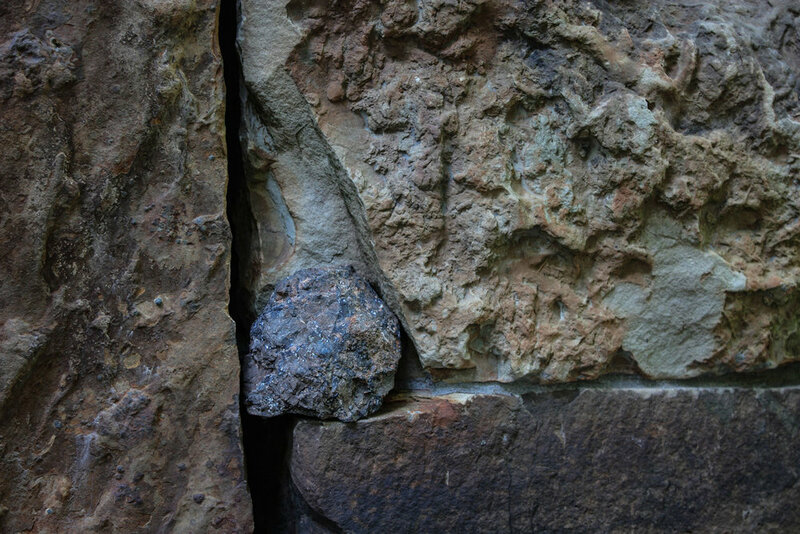 Embedded among the river rock are actual artifacts of volcanic lava rock ejected from Mt. St. Helens and small pieces of asteroid and comet remains found in the Arctic. 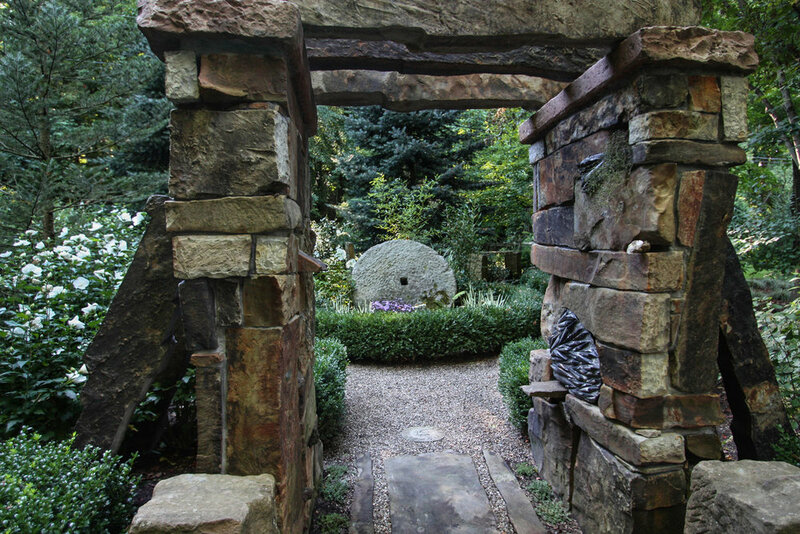 Overall, in viewing this stone arch sculpture we are left with the wonder of the awesome history of the Earth recorded here in this entrance to a small, but deeply informative garden.